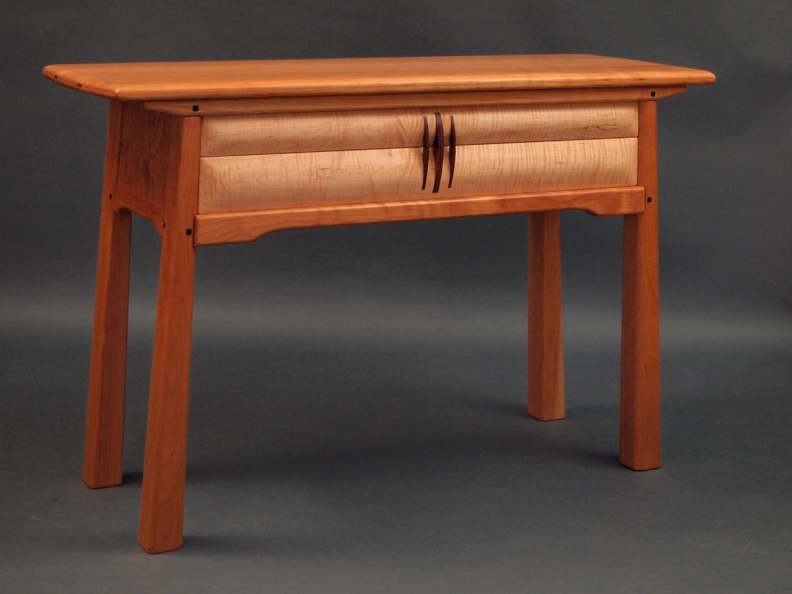 Kansas woodworker Don Gauthier, known for his finely crafted furniture, will be at Grovewood Gallery from 11am – 4pm on February 17 & 18 in conjunction with the National Arts & Craft Conference at The Omni Grove Park Inn. Gauthier will have a variety of tables, cabinets, and chests on display and available for sale and will also welcome custom orders. A craftsman for 45 years, Gauthier creates work that incorporates his own vision and style with other details often seen in Arts and Crafts and Greene and Greene furniture. He enjoys working with native Kansas hardwoods (primarily maple, cherry and walnut) and occasionally incorporates ceramic tiles into his pieces, a throwback to his previous life as a ceramicist. All furniture is designed for everyday use and handcrafted in Gauthier’s Kansas studio. Grovewood Gallery is a nationally recognized gallery dedicated to fine American art and craft. The gallery is part of Grovewood Village, located adjacent to The Omni Grove Park Inn is North Asheville. Grovewood Village is housed in the historic weaving and woodworking complex of Biltmore Industries. The 11-acre property, celebrating its centennial this year, is listed on the National Register of Historic Places and includes Grovewood Gallery, working artist studios, a sculpture garden, Golden Fleece restaurant, and an antique car museum. For more information, visit www.grovewood.com. A real romantic comedy in "Almost Maine"